As we grow up traditions are about making memories during special times in our lives and we look forward to sharing them with family and friends. Our family tradition is one that reminds us every day to Celebrate each moment. It all started with a little elf named Merryam, a visit with Santa and Mommy that was sick. 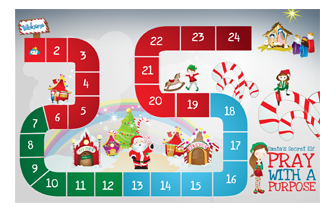 Merryam is a special elf that has worked at the North Pole for many, many years. Her year round job is to say a prayer each day with the hope that all the children on Santa's List have all they need to be safe and happy. 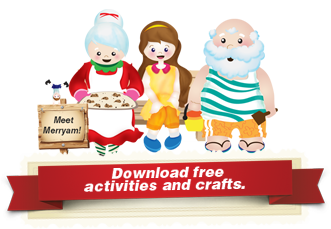 Merryam tells stories and secrets of the North Pole, shares adventures of what the elves and Santa do after Christmas is over for the year, encourages others and herself to be kind and generous, started THE COMPLIMENT CLUB, talks about her best friend PiePer and so much more. 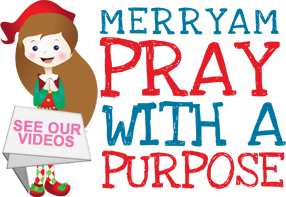 Our first Christmas book is Santa's Secret Elf, a 48 page soft cover book that tells the story of what Santa does when he gets letters asking for things he can't provide. Make my mom better, bring my Daddy home or help me make new friends when we move. These are just a few of the requests he gets and those letters are sent to his special elf Merryam. 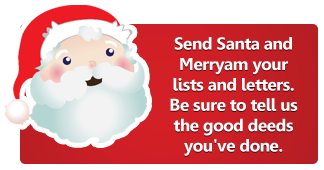 Merryam takes those letters and prays for what the children need while Santa and the rest of the North Pole team make what the children want. 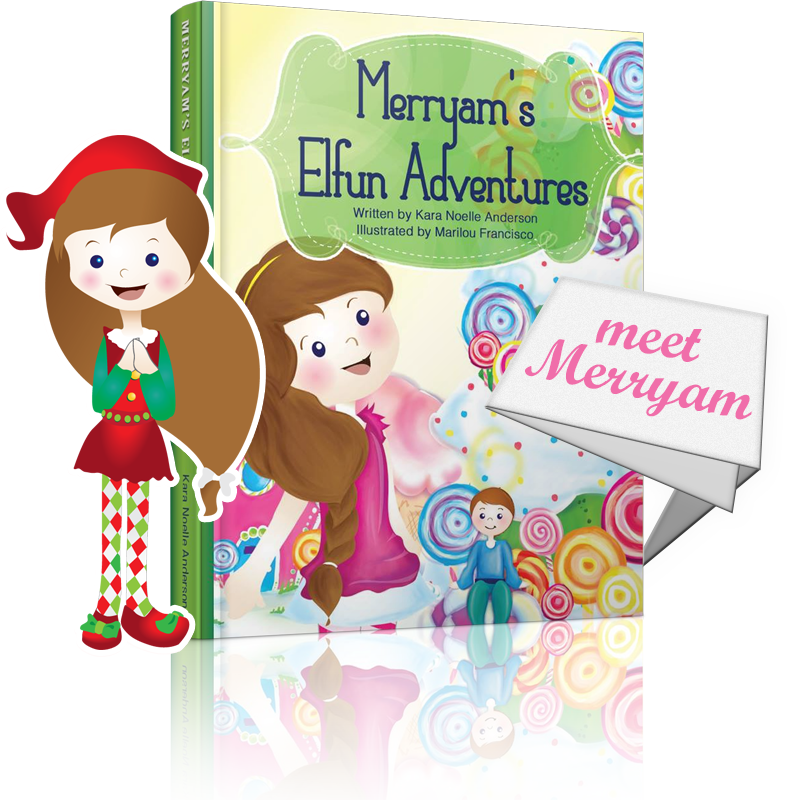 Our newest year-round book is Merryam's Elfun Adventures is a 64 page hardcover book that encourages kindness and generosity everyday. In this story we see what happens at the North Pole after Christmas. 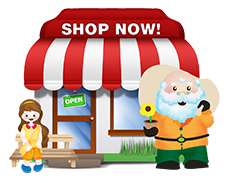 We learn to be heroes and helpers to those in need, find out secrets about a tiny elf named Pieper, how Santa really keeps track of on his Kindness Counter, how those big department stores order all of our favorite toys from the Toy Factory, and learn about past Christmas lists from The Great Memory Tree. There are hidden hearts on every page to remind us to be kind hearted every day.